The sewing machine platform is supported by a heavy-duty, touch release 3-position air lift. Removable accessory and notion trays make arranging your sewing cabinets easy. The Compact sewing table and sewing storage unit may have a smaller footprint, but it doesn’t compromise on any of Tailormade’s signature design features. You still benefit from the convenience of an ergonomic lifter, ample storage for sewing accessories and notions, and a spacious work area for all your sewing, arts and crafts. 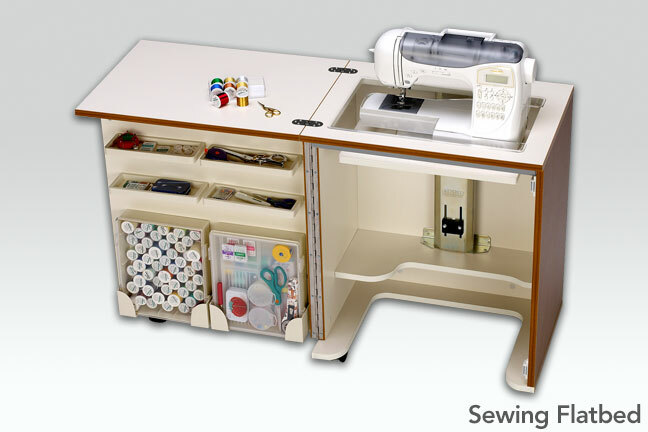 And all that in an attractive, durable piece of sewing and crafting furniture that lets you easily incorporate a dedicated embroidery table or quilting table into your sewing space. The Compact unit’s 3-position machine lift platform measures 18-7/8” wide by 11-1/4” deep. 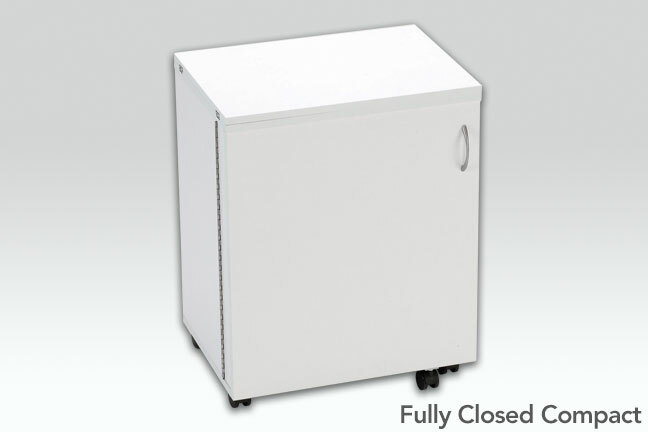 Consult your retailer for your machine lift opening and acrylic insert requirements.